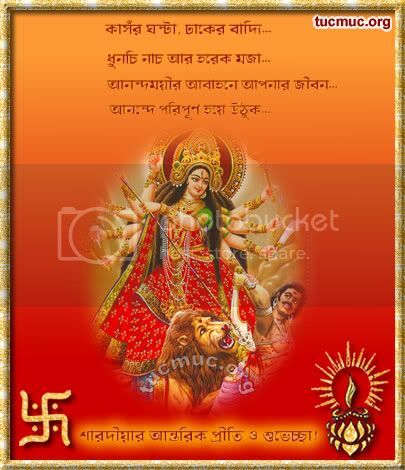 We are providing Durga Puja greetings/cards in Bangla. Durga Puja, the most happening festival of the Bengalis can be sensed with its spurt of fanfare on all the four days of the festival. This autumnal festival recalls the power of female Shakti symbolized by the Goddess Durga who slays asura to reestablish peace and sanctity on earth again.